Art and Music have always been an integral part of academic life at NCU. Apart from various value-added programmes, the University proactively facilitates extracurricular activities for students to recognise their talent and hone their skills in the areas of art and music also. The ‘Encore Music Society’ of the University is one such platform for students to learn music and excel in whatever field of music they are interested in. 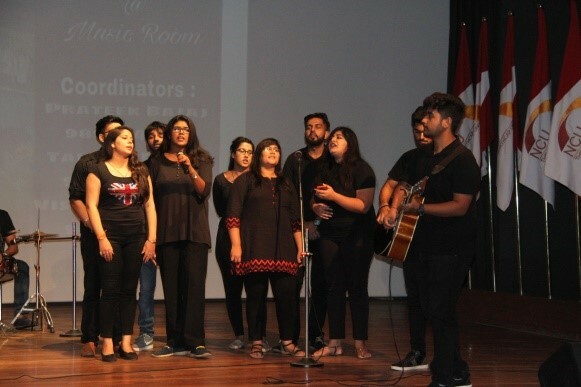 The Society promotes music starting from basic knowledge to innovations leading to betterment of a student’s intellect, discipline, emotional quotient and expression of one’s identity and personality. The Induction Programme (23 July to 3 Aug 2018) for 1st Year students provided a platform on 3 Aug 2018 for various clubs and societies of the University to showcase their activities before the new entrants and encourage them to be a part of these co-curricular and extracurricular activities. 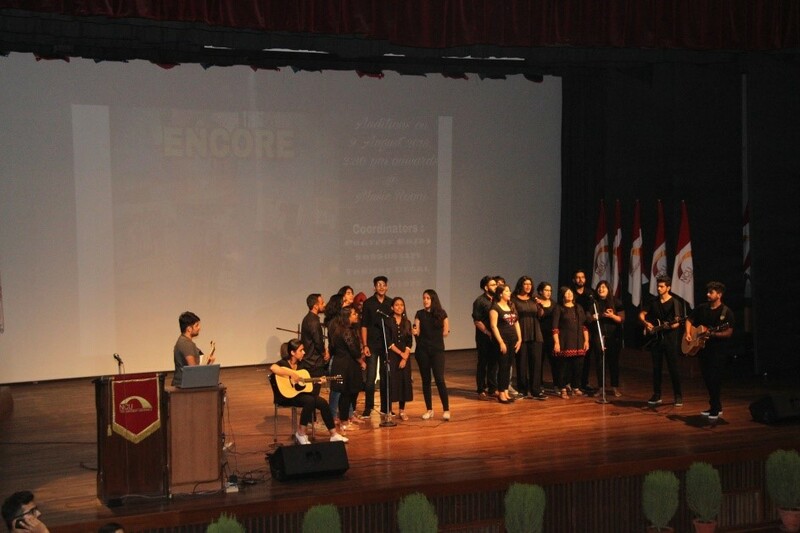 During the programme, a team of 20 members of the Encore Music Society gave a beautiful rendition of a Bollywood medley and rap. 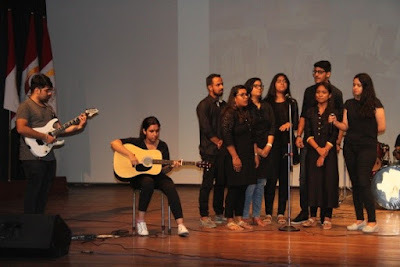 Addressing the freshers, one of the members, Aditi Jain, gave a brief introduction about the Society and encouraged the new students to be a part of it and contribute meaningfully by exhibiting their varied inherent musical interests and talents.